A good shopkeeper knows that to lure customers month after month, he has to freshen not just his stock, but the look of his space, too. That doesn’t come easy (or cheap). 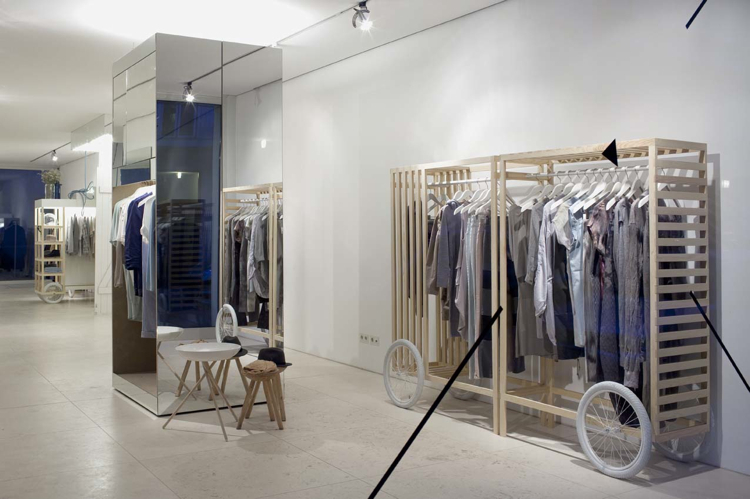 One pert little boutique in Berlin has a whip-smart solution: product armature that’s designed to move. These are not, mind you, the squeaky mobile racks you find in every Macy’s dressing room in America. They’re more like food carts, only prettier — tall wooden racks on wheels, many with shelves and clothing rods, that can be pushed around the store in a cinch whenever the makeover bug hits. The brainchild of German design studio Ilot Ilov, each cart has its own theme — one’s modeled after a droshky; another after an old Ford truck — so that the shop, Baerck, can be arranged countless ways. The best part: Redecorating doesn’t cost one extra dime. The carts are perfectly suited to a place like Baerck, which flogs a meticulously curated mix of Euro fashion labels and home products to Berlin’s design-minded set. Clearly, a store that deals in the currency of design needs to be able to revamp its layout on a whim, lest it appear stale or (gasp!) off season. But we think carts of this kind also make sense in lots of other stores, whether Prada, Camper or yeah, even the dressing room at Macy’s. 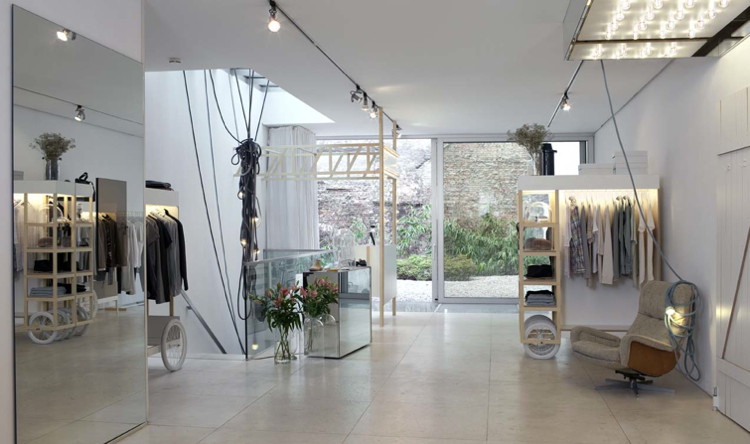 Brick-and-mortar shops are competing with the web like never before. Anything they can do to distinguish themselves is a boon, and the simpler and more economical the better.